It is easy to learn and can be played for leisure or as a competitive sport. Squash is a strenuous sport, in which a player can use a lot more energy than most other sports. 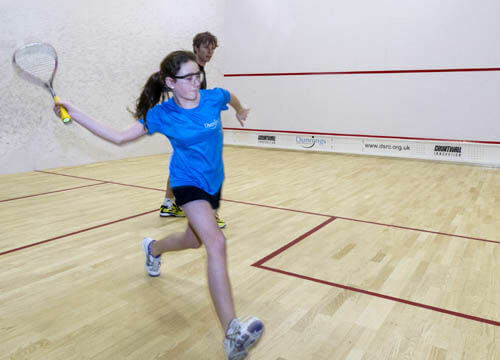 Squash helps to improve cardiovascular health and a game of squash will see you running, leaping and diving for the ball. Squash increases strength and fitness and helps to maintain a healthy weight. It also increases flexibility and strength in the back and promotes good coordination, agility, flexibility and improves hand–eye coordination. Squash is still one of the best ways to stay fit and active and provides a little bit of on-court competition as well! The newly formed Freedom runners club at Knighton sports centre is aimed at complete beginners who have little experience of running. 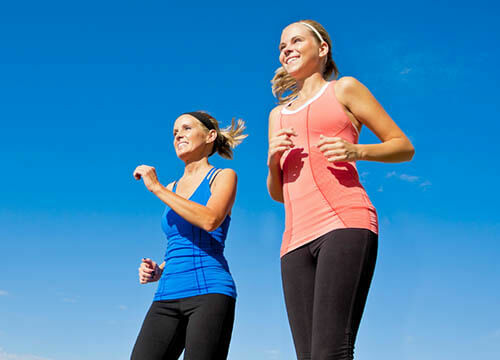 The walk to run group is designed to get you off the couch and running. Our "Run England" Qualified instructors Nathan and Jade will help you every step of the way to achieve your goals and enter the world of exercise. Produces endorphins and endocannabinoids making you feel happier. Join our freedom runners – Knighton facebook group. Please visit the centre for a hard copy. For Children aged between 14-16 years old, a disclaimer form must be completed as well as a consent form by the parent/guardian who will be responsible for the child taking part in the running club.